Without advertising about your brand and company, nobody will ever get the clue what you are endorsing, it is not only about your product but for your own business expertise so you make it familiarize and make it publicize and consequently more people can get associated with it, more people will get accustomed to it and will trust it for future. Before starting up a new organization the most important thing for it is to get its logo design built up by a professional graphic designer. Then comes the business card design which the owner leaves at the table of the client or give away to a person so he may contact you in future, basically it stands for all those potentials you have, the genres you deal with, the kind of company you own, the type of tasks you do, the perspective of the company, its location and the contact number; everything is evident on a business card. 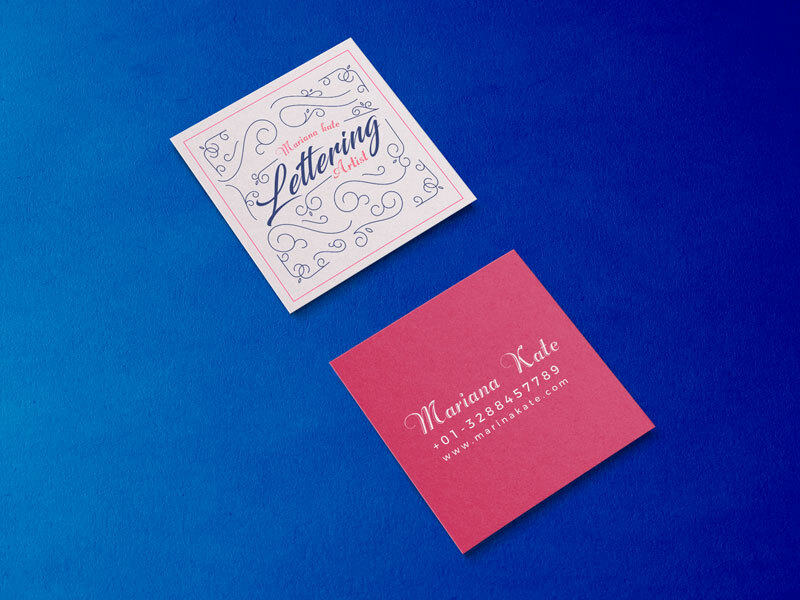 However people choose different and unique styles of a business card that is not much common. Also they spend much on its innovative style, its printing technique, the card’s quality and they never fret over the high pence for its style/appeal. Coming towards my today’s post which is showcasing a free square business card mockup. You can put in the design elements that you have made for your clients, and make a stunning presentation out of it. He will know how his business card will look like after getting printed. Business cards should be eloquent, clear and unambiguous, their basic aim is to target the audience it has to reach, also its font has to be communicative, readable and striking. Here we go with a bang to come again the very next day with some amazing design and art feed, also our blog deals with tech/gadgets’ posts to highlight what is trendy and which wave is brimming and soaring in the world. Subscribe us for the daily feed.